Today, MachNation has created the industry’s first vendor-agnostic, functional architecture for IoT platforms. While much literature exists on the types of enterprise IoT platforms available, until now there was no independent source that described the detailed functional components that enterprises demand in an IoT platform. This publicly available document defines the 24 micro-services required by enterprises in their IoT platforms. 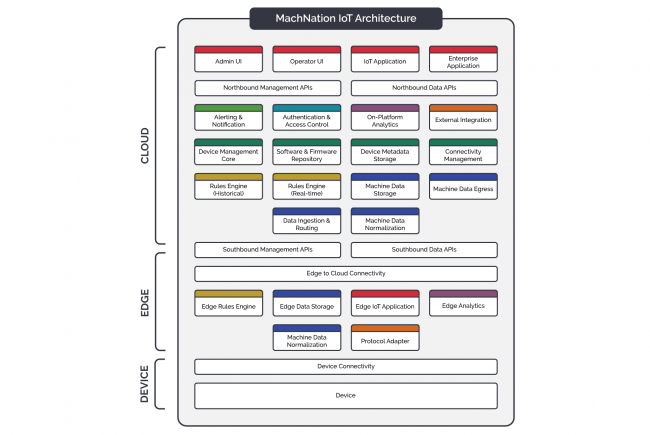 No other analyst firm has the depth of knowledge about IoT platform middleware as MachNation. We have chosen to share our IoT platform functional architecture with the ecosystem in order to create further clarity about the nature of IoT platforms and the components required for successful enterprise adoption.